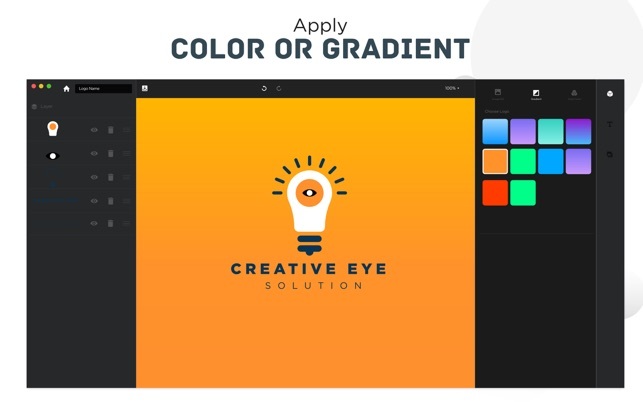 The best logo creator Mac app to create Business logos. No one will know your business better than you, and that’s why no one can make a better logo than you can. 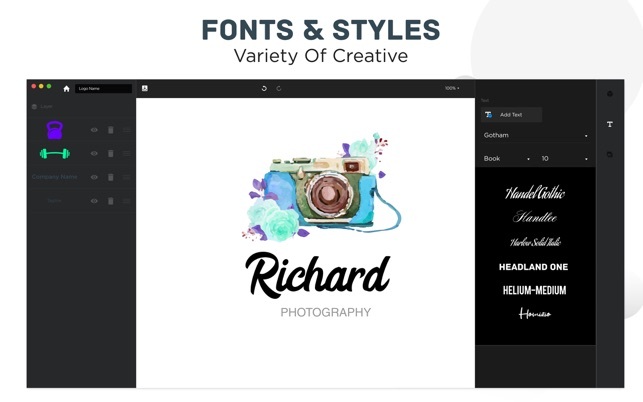 If you own a business and you want to create an attractive logo that will help you in building your brand, then you must download this free Logo Maker Mac app. 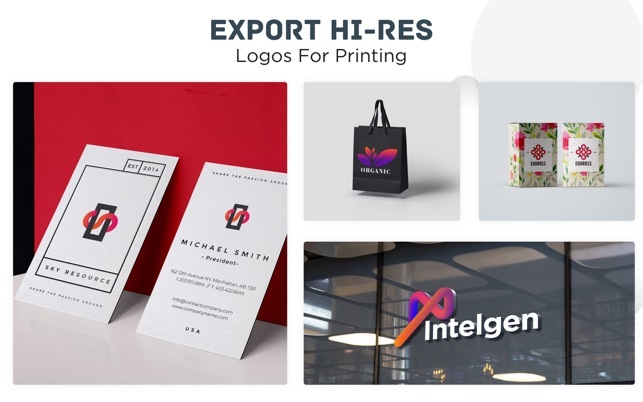 Logo Maker is a logo creator which you can use to come up with a logo design or idea that your target audience or clients will instantly fall in love with. This is a fun and easy logo generator that allows you to unleash your imagination and play with your creativity. 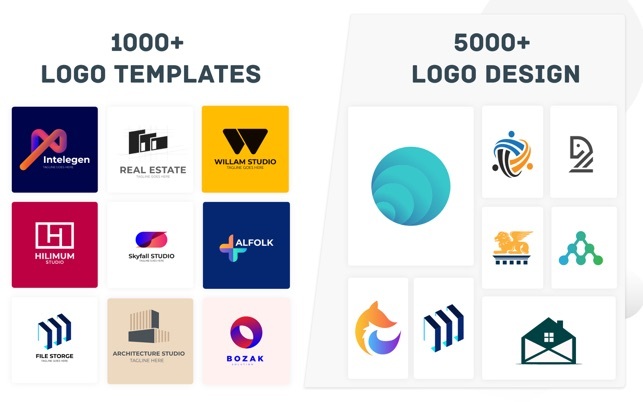 Logo generator app is ideal for you if you have logo ideas and you wish to make a logo design to give that memorable first impression for your service or business. 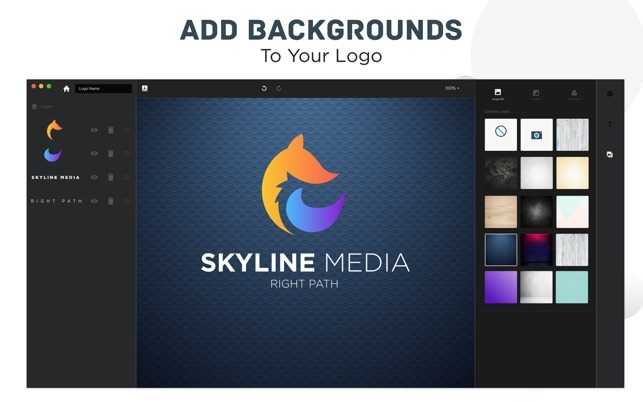 You can also use this app to give your old boring logo a completely unique and fresh look. 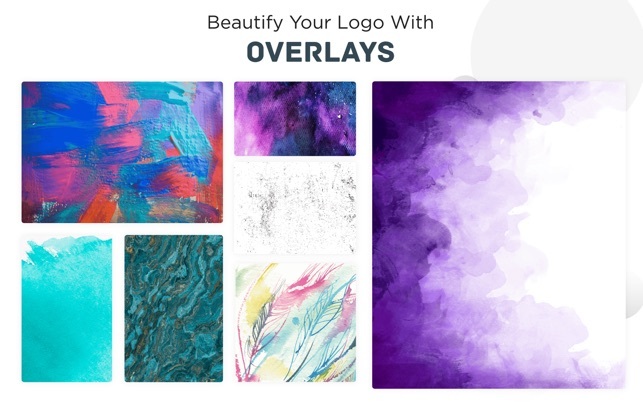 Discover the tools of free Logo Maker to create a design that stands out from the rest. 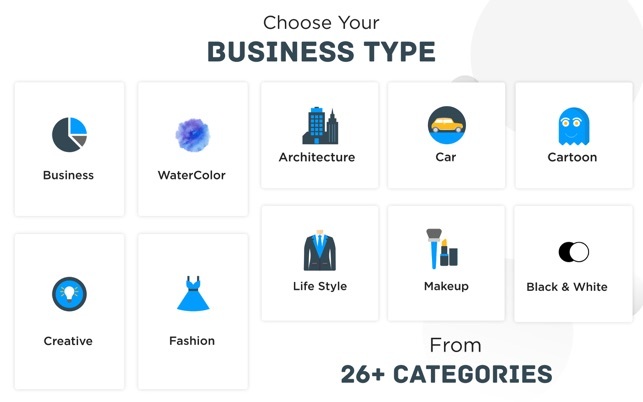 - Different categories for logo icons such as Lifestyle, Colorful, - Sports etc. Add text, overlay, color, background etc. 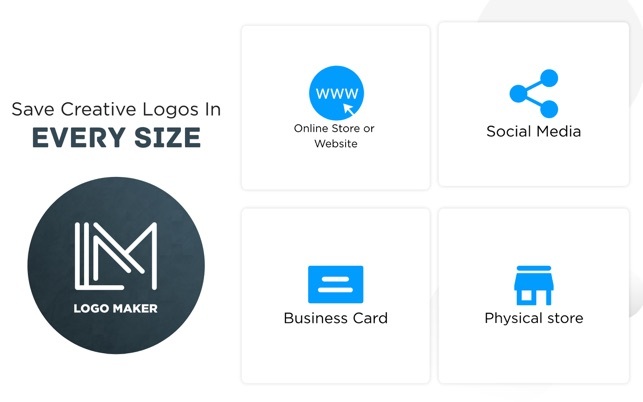 Now you can save time and money by becoming your own logo creator. No need to hire overpriced design professionals that don’t always get what you want and end up creating a logo that will be entirely opposite to what you expected. Download Logo Maker for Mac now and let your creativity run free! Don’t forget to rate us five stars and provide us with a helpful feedback. You can also share with us the logos or categories that you would like us to add in future. - New logo templates added in following categories. - Now you can change the text shadow color. If you need to design a a quick logo, with an iconic shape and limited text, with a few colors, a number of possible backgrounds, etc. -- without worrying about copyright issues for art internet art -- this is s 4 star product. I can only go to 3 stars, though, because I wanted to do several slightly more complicated operations, and this version seems limited to the very basic stuff it does very well. I may have other situations where I need a quick, clean logo -- and I would use this for that circumstance. This is my first review ever… . Albeit cheap, I purchased the full version for the extended content. Little did I know that “the program does not open the files that it creates.” This is sad and should never happen to anyone shopping on the App Store - it reflects upon Apple whereas, the company should know what is being sold! The developer should develop this app further. For example: 1.) Create a user preference pane and, 2.) Certainly make the app capable of opening what it creates. The worst thing about this app: It does not give the user the comfort of knowing that size and scale will be functional on platforms for intended use. I hope I do not run into to such problems later. I was looking for a logo I could use for my rechnology oriented project, and I even paid to unlock the pro features. I might be a little dense, but I couldn't tell the difference between the lite mode and the pro mode. The pro mode doesn't identify itself in any way. Once you choose a logo, there are very few features, no flip, or text insert (that would have been nice). It didn't crash, I can say that for it. I think you did not read the description written on the premium screen. Please try to understand the description carefully.